Peace & blessings people, We are now on the road towards performing the music off the album project RuAch Live!, Which we are all very much looking forward to doing!. Like I have mentioned here in the past there’s nothing that can beat a good live performance, Records can sound good on CD & there’s an art to creating a good sound in the studio, But a group needs to be able to deliver a performance sounding just as good if not better than the record, & this is what we have been working on. The team is in place & things are looking great!. We have a pleasant surprise for ya’ll coming soon! Meantime I would like to thank Larry Toering from Vents Magazine for his review of our album which you can read bellow, & also we thank you the people for your support!, As this enables us to build towards doing greater things in the future. There is a truth to spirit and a spirit to truth, and that is what you take away from Ruach, the latest CD from VonJ. It kicks off with “Out Of The Mire” which has a cool tribal beat fade-intro. Once it cooks up you know it’s on. The guitar starts to boil along with it and you feel like you’re listening to either Santana in the late 60s, or the equivalent. But there are some harmonics applied that bring it into the twenty first century before some further bombast brings some vocals into it, and everything dies down into some sweet acoustic notes before it’s over. It is a pretty awesome opener to get you going, but it doesn’t stop there with this dynamic multi-instrumental wizard. “Skin Deep” proves to rock hard as well, with even more soul because the vocals step right up and impress. And this one features killer guitar and bass solos. These guys have some serious cops that must be further explored. It is a fantastic unison display before going back into the vocal chorus, which just repeats the top little a few more times. There are a lot of tracks on this album, and only so much review space, but these two pump up the whole set with fury as the rock and swing with funky swagger. They simply can’t be denied as the epic tracks they are, but this CD goes in several directions. The jazzier side of things kick in on “I’m Coming Back” which gets into some great jazz guitar and sax interplay. It also manages to go in other directions as well. This is an amazing piece to say the least. It’s about coming back to shock the world. A very progressive number that sort of ends without warning and contains very little vocals, not unlike the first track but in another musical galaxy. An out of sight one, at that. You just can’t set it down after this. It is not something you get every day. The musicianship is impeccable, but the arrangements loose without being sloppy. Other tracks like “Lady Night” are of the slower pace with more poetic lyrics, while “Trails Of Eldoret” bring out more Spanish guitar and very spiritual feelings. You get that same feeling with the coolness of “River Nun” as well, with its hauling horn and crashing cymbals. You get the feeling you’re both inside and outside on this, as it holds some esoteric lyrics, a liquid bass line and some searing guitars. It pulls no punches, as does most of the disc. You can’t help but get swept up into this if you’re really a music lover of all types from mellow to hard rock, world and even some new age and spoken word, where it borders on defying categories. If none of that works, you’re wired to the wrong device, as this is no swift show, it is a long player that will please without question, as long as that is your thing. And it can bring out the soul lover in any rocker and the rock lover in any soul, funk and world music lover alike. It has everything from the lighthearted guitar of “Experience,” to the upbeat and inspiring “Nu-Times.” The use of all instrumental effects are applied with clever skill to make a sonically gratifying release that I’m sure holds up to Vonj works, so it should please anyone following as well as bring attention from whatever direction the wind blows it. On this post I would like to give thanks to Kevin Webber from Band Blurb for taking his time to go through the Ruach album & write a stellar review. Feel free to read his words bellow. Stay tuned for more news family. meantime I wish ya’ll to keep on trying to stay positive, productive & most of all Healthy!. It has thirteen cuts that go all over the map and get under your skin, leaving chills in their path. This is no rookie at anything being explored whether or not anything all that new is applied. It all seems like it comes full circle for Vonj. Not being familiar with all of his work I wouldn’t know, but there is no reason not to want to hear the whole Vonj collection after this. It’s so enjoyable the opening track is not to be forgotten for the push it gives to make sure you don’t ponder turning it off, like many albums these days can do. This is a breath of fresh air to hear, really. It’s a culturally delightful jam. A true way to ring in a meaningful set of all out gusty but accessible numbers. There is no holding back when you come on like this. And they answer it back with the even gustier “Out Of The Mire” with its place standing anywhere alongside the thirteen killer tracks to be found on the whole disc. And it loses nothing anywhere. It has all kinds of stuff that sticks together and gets far away too. With examples like the very complex “Vox Poluli” that is almost beyond description in everything from structure to finishing textures. This isn’t something you can emulate, it’s prog inclined jazz fusion music. Not your pop radio station album. It gets wild in parts but also slows back down on some acoustic tracks to give it a lot of musicality beyond the Vonj messages. This is very easy to detect between the former and “New-Times” but even more so on other moments. A thing that renders it full of such avenues for the ears to travel. And you can go there and back as many times over as you want without burning out. If there is any comparing this it would be to such instrumental-driven supergroups like The Mahavishnu Orchestra, Weather Report and very few others. But does it reach their marks of beauty in history is the question. Well, too much comparison will bring that up, so, best to let Vonj rest on their own standards, of which they do reach without comparing. Especially with neither such around to do that with anymore. This isn’t the 70s, but it’s nice to know some still keep one foot in it while trying to expand the barriers of rock and other forms of music, and even blend them with any success and be satisfied as musicians and consumers of quality music. Other tracks worth nothing are “River Nun” with its great twangy guitar sound and pretty horn and jazz drumming. It has a sound worth washing all over you, with some commanding vocals. It reminds of bands like It’s A Beautiful Day, and even the Groundhogs. Also War, and Third World(without being reggae). But of course it’s only inflections of the old weaved into something new. Music working its own tricks on the ears, for the most part. But it also makes you think while it makes you move. And that is a superior trick. And don’t miss the talking part of this. It brings the whole album together and reminds you it is really all about something. I would like to share a Ruach album review by Randy Jones from INDIE MUSIC, My message this day is short but like this picture you see above, find a reason to smile before the end of this day, I’m wishing ya’ll an inspiring & productive week. Vonj comes out of the UK via Kenya, and it’s a good thing that it doesn’t matter on his new CD, Rauch, if you’ve heard him or not. As long as you like all of the elements he brings with some equally talented musicians, you’ll be wanting to check out more. The guitar in particular covers ground from Jimi Hendrix to John McLaughlin and even some Allan Holdsworth territory is covered for good measure. And if you like your covers reworked over to make a statement, then you’ll get it all and more. This isn’t a glossy produced work either. It’s pedestrian when called for, and polished when needed. There are good and bad cliché’s to be found on most anything, but you won’t find the latter here. The music appropriately begins with the smoking hot drums of “Out Of The Mire” and it’s off to the races with congas and guitar fills to spice it up. The guitar fills are almost scratchy and it somehow adds an eastern flavor. But there is a lot of flavor to be tasted on this, and throughout every track as they fly by. This is not to go without mentioning several, and the burn up the speakers. Starting with “Skin Deep” with its monster bass grooves and extremely cutting edge guitar interaction. The thought that something can almost be too good, does go through the mind when hearing all on offer. You don’t get this next door. The album just gets more and more layered without losing any attraction if you’re looking for that, and who isn’t once in a while. You get the luxury of both playful jamming and serious musical workouts on most of these songs. With something like “Gold Rush” to simmer the jazz-heavy arrangements with a more down to earth rocking style, where you get a more gut-level vocal approach. It gets into not being fooled by the ways of the world. And if you are a bass junky, this will put a smile on your face, as it gets downright funky to the max before it gets back to the great advice worth listening to. Grab it and don’t let go of the soul. “Brilliance Street” is also a cool jazzy track to crank at high volume and get the blood pumping at any given hour. This is another slamming track with all of the collective elements the album contains in one statement, as it is the vocals that cover the most ground on it. But it’s about balance, and it does still find some. But it’s pretty hard to find anything out of place on the album. There isn’t a lot of room for change or improvement, it’s too well put together in both concept and studio performance outcome. It’s a long ride but an intended one that cuts like a knife without making you bleed. A truly spiritual effort. Another highlight is “Trails Of Eldoret” which is a guitar instrumental, so I don’t know what it’s about, but it’s an eloquent piece that adds one of several accessible gates to and album that doesn’t even need them. It just goes to show how many bases they cover. But audiences for music of this sophistication level are vastly thinning out, so, Vonj is good to still have a round. It closes with a cover but not a typical one, of “Superstition” by Stevie Wonder. And this has also been a thing some are insisting on doing lately, that have nothing to do with the rest of an album. But as long as people are making it their own and not doing carbon copies, I approve. And this one is worth hearing, but could as easy be a bonus track. as we continue in this series I would like to share this RuAch album review, We give thanks to Jason Hillenburg from skope magazine for taking his time to share his perspectives on our music. feel free to have a read bellow. 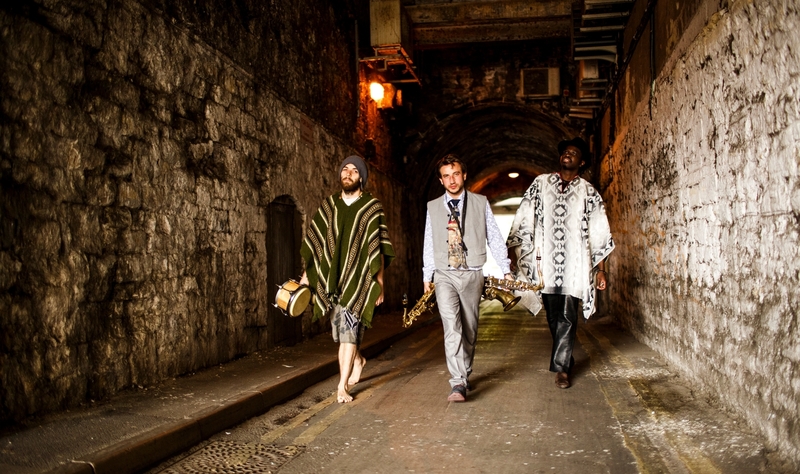 Kenya native and UK based multi-instrumentalist Vonji Uzele has a steadily growing discography featuring his varied talents and the latest release in his career, Ruach, is a thirteen track outing featuring the talents of guitarist Garry Millhouse, saxophonist Carmine Manfredi, and drummer Martin Donovan. Producer Mat Diamond has done an exemplary job of bringing outstanding sonic clarity to this often challenging music and his influence clearly strikes up considerable chemistry with Vonji and his musical collaborators. There are some strong influences circulating through this collection, but Vonji has a wholly individual sound filtered through those colors and no one can accuse him of lapsing into self-indulgence and imitation. This isn’t music pandering for commercial attention; instead, Vonji is working in a realm all his own and the iconoclastic slant he brings to this work will leave a lasting effect on any music devotee. Ruach is thirteen songs with a lot of punch and musical variation that few artists, at any level, can readily match. The album opener “Out of the Mire” begins with intensely rhythmic percussion, acoustic instrumentation, and sharply angular guitar work gaining power as it progresses. It’s an instrumental track, but there are choral voices employed that sweeten the often fiery performance. The track is relatively short, but it makes maximum impact within less than three minutes. The terse and intensely melodic guitar opening “Skin Deep” is soon joined by a more lyrical lead guitar snaking over the top and segues into some impressive flourishes. The vocal contributions to the song have a nicely exhortative quality and the chorus underlines those elements without ever pushing too hard. It’s hard to resist the emphatic passion coming from every passage of this song. The powerful bass playing in this song is given a prominent position in the mix and works quite well with the lead guitar and rhythm section. “Gold Rush” has a much more straight ahead rock and roll attack and foregoes the experimental edge we’ve encountered on the album thus far. Vonji’s vocals veer from an impassioned bellow to snarling raucousness. “Amnesia” has a decidedly dream-like, laid back vibe vaguely reminiscent of Jimi Hendrix’s work, sans guitar pyrotechnics. Vonji and his collaborators frame the echo-laden guitar work in imaginative ways and the song gradually sharpens its experimental edge as it progresses. One of the album’s longer songs, “Vox Populi” begins with some sternum rattling bass moving at a leaden, deliberate pace and accompanied by understated drumming. The introduction of a growling sax line darkens the texture some, but Vonji’s clear vocal pushes back against that darkness and balances it nicely. There’s some particularly strong guitar work in the song’s second half and the vocal arrangement serves the track quite well throughout. In some ways, Vonji and his collaborators are reminiscent of The Mahavishnu Orchestra’s prime work and few comparisons could be better. This is a powerful musical release on every level and, while it has little commercial appeal, it hits home with those who love music as art. I’m coming Back: from a dream to reality! I Hope y’all had a good weekend. 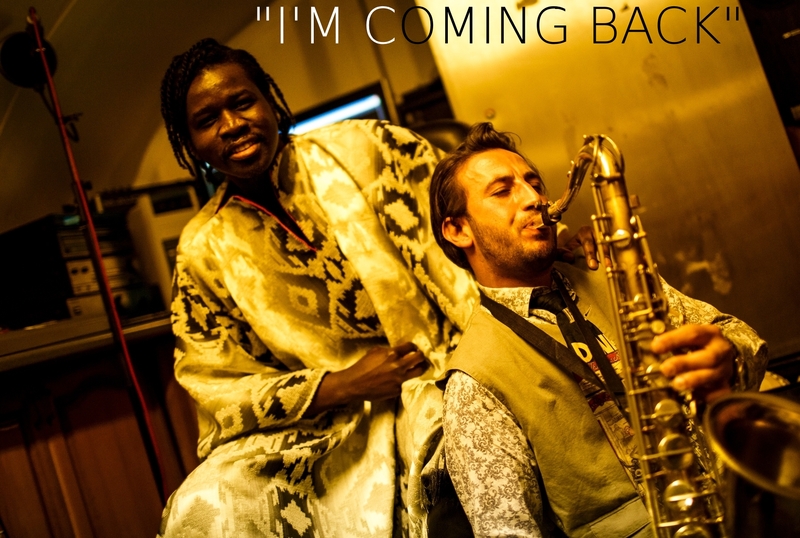 On this message we are continuing the short stories behind the music on the RuAch album, We Began these stories with the song River Nun, then “Out of the Mire”, This time lets talk abit about the featured track titled “I’m coming back”. I always say when one receives inspiration one has to be quick to act upon it to capture the idea before it disappears, Well this track has to be one of the best example’s of this. Before adding this song I thought the album was complete, We recorded 24 tracks for the album of which I whittled down to 12 to make the album, & I had already planned to send the album master off on a Monday morning to be published, Little did I know a new song would rise only the previous day to this, I remember waking up from a dream at 5am on a Sunday morning, the day before I needed to send all the material off. I had a dream that I was a soldier somewhere in the middle of a war zone close to a beach, But I was appointed in charge of rescuing the injured & bringing them to safety, So I would go to the sea shores & carry those injured individuals back to our camp where the soldiers can be looked after & nursed, As I was rescuing the injured all I was thinking of was a woman I loved & longed to be with again back at home, chances of survival were very slim but in the dream I had faith that I would see her again. The determination was there not to be killed by crossfire while I am exposed carrying the injured to safety, But when I knew everyone I rescued was safe the dream took a sudden turn, & I found myself in a new place that seamed like a 1960s New Orleans, & I had a feeling of joy & happiness in that I survived a war & finally I could go & see my love again, On my way home to where I apparently lived in the dream I stumbled into a building, When I entered it this turned out to be an empty ballroom, But I could hear music playing, & it sounded like what one might define as “Free Jazz Music”. I then awoke from my dream, The music in the dream kept playing while I was conscious, & I remembered there were certain different styles of music playing throughout the dream, Very rarely do I get to remember dreams as accurately as this one, but that dream was more like a Movie of which I dint only remember the picture but I remembered the soundtracks on each part of the dream. Right then I knew this dream had to be included on the RuAch album. That morning I contacted Carmine Manfredi our sax player & told him the dream, & asked him if he could help me with a very much-needed Sax piece on the “free jazz section” of the track. That morning I went to our studio which we call “The Cave”, I played & recorded all the Drum parts, Bass, Guitars, & Vocals, Then Carmine came into the Cave from his job, it’s now 11pm, & he began to work on that section of the music until we were happy with it, I came back early the following Monday, mixed & mastered the track, Cut a new master disk & shipped the music off for publishing before midday that following Monday. Today being a Monday I reminisced on that experience & thought I would share this message with you the family. Sometimes we are slow to act & move with every ounce of inspiration we receive, I say move with your spirit to see your dreams accurately manifest into a physical existence. So now I am wishing everyone who read this an inspirational & productive week. RuAch album review by Gas house radio. Peace & blessings people, I would like to give thanks to Owen Mattheson for listening and reviewing the RuAch album earlier this year. Feel free to read the review bellow. until next Monday family. Remember: Love, Unity & Health!. Owen Mattheson’s Ruach album Review from Gas house radio, Philadelphia. Vonj Uzele is a native of Kenya and lifelong musician with five full-length albums up to-date. 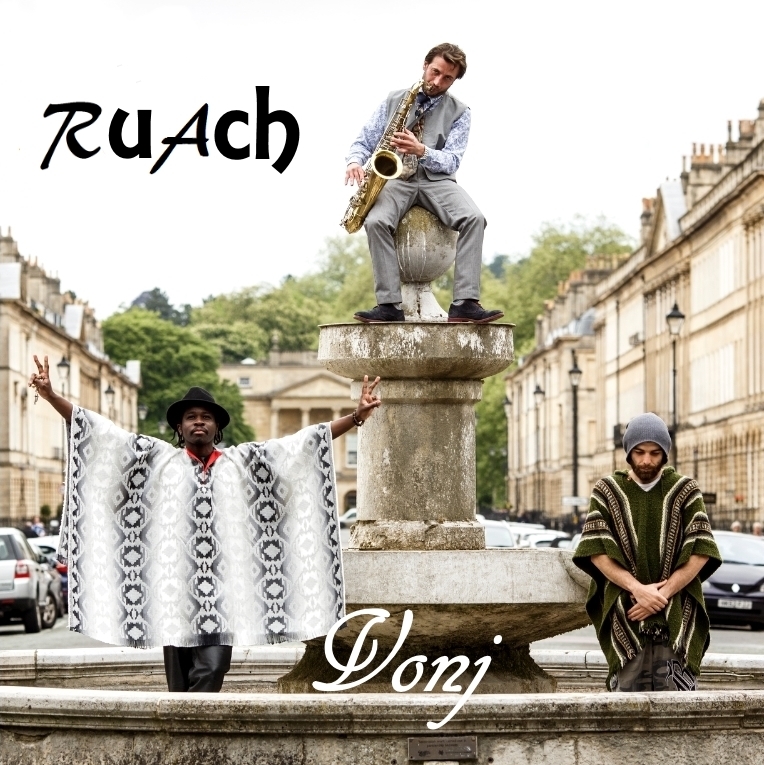 For this most recent album, titled Ruach, meaning Spirit, Vonj enlisted the impromptu aid of percussionist Martin Donovan, saxophonist Carmine Manfredi, Drummer Mat Diamond and Spanish guitarist Garry Millhouse. 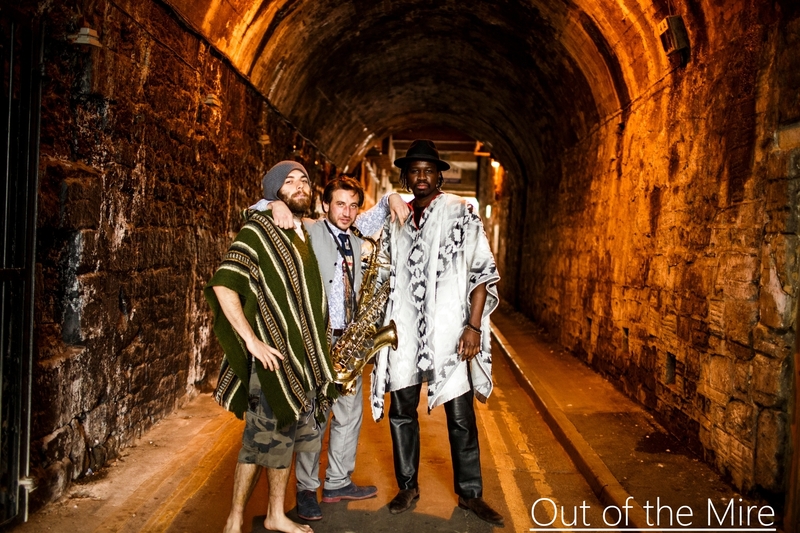 Ruach is thirteen tracks of musical charisma, sophistication, and uniqueness to the extent of which a majority of people haven’t been exposed to since the mid to late sixties. 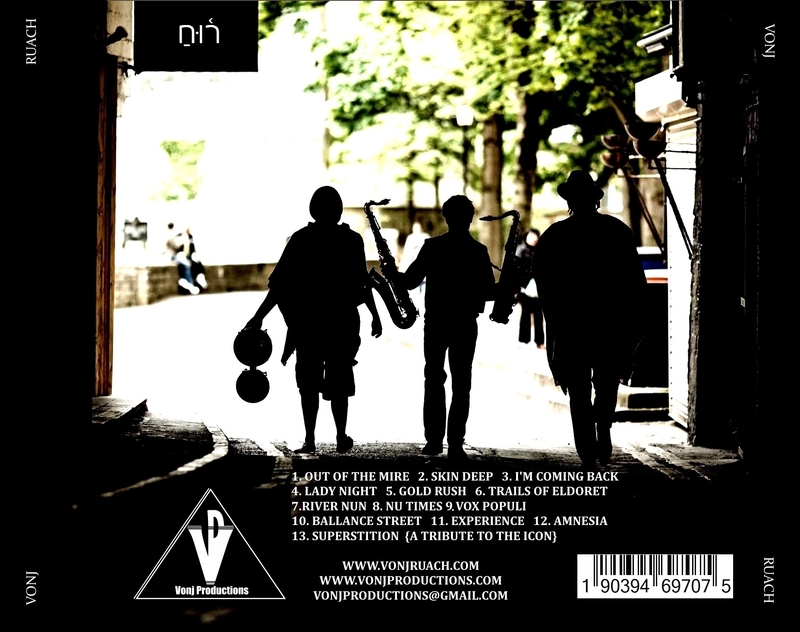 Skilled improvisation matched with equal parts spirit and personality burst from every composition; there is a lot of “musical bravery” in this album, ranging from experimentation with acid-jazz like dissonance, to incredibly dynamic and unorthodox song structures where about two or three different experiences can be gathered from one four-minute track. One of the many examples of such a shift, from Edwin Starr-like soul vocals and instrumentation to a swirl of free-form/acid jazz and psychedelic rock is the second track, “Skin Deep”. Songs such as “Gold Rush” demonstrate raw, fuzzy guitar riffage and commendable soul-influenced vocal talent that is refreshingly familiar to the inclusive and eclectic musical experimentation that was evident in sixties and seventies jam bands like The Grateful Dead or the Allman Brothers. Perhaps this musical conceptualization is most apparent in the six minute piece titled River Nun. An improvisational mix of psychedelic rock, soul, jazz, and even hints of funk, the track stands without a doubt as a unifying and mesmerizing spiritual journey that seems to emanate a since of musical togetherness and groove that is rare to come by and expect from modern musicians in a Western society. In short, there are so many different components to Vonji that it is difficult to fully comprehend every dynamic and experience the album has to offer. From sophisticated modal guitar playing, to unorthodox percussion and drumming, to elements of Eastern musical philosophy and psychedelic rock, there is without a doubt something in here for anyone to appreciate, and the great level of charisma and talent among these artists is unmistakable. 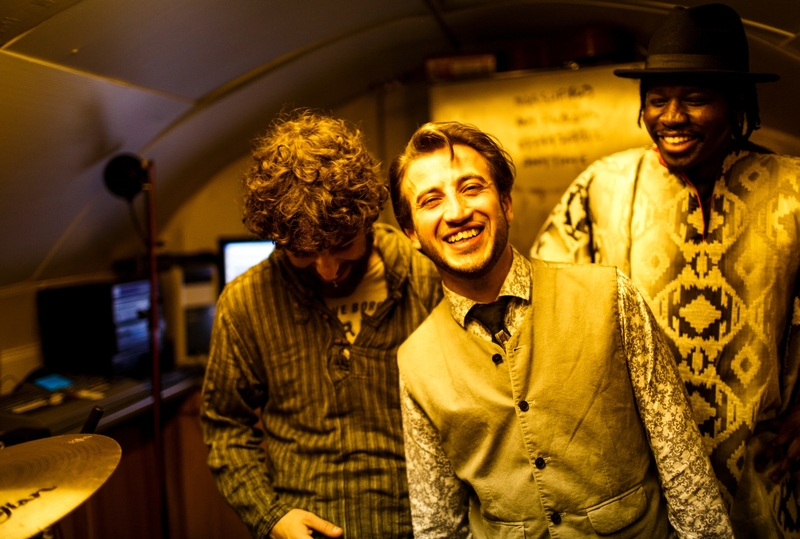 The musical objectives of Ruach are, at heart, incredibly charismatic and sophisticated. The playing is so dynamic, eclectic, and experiential that the group seems to forge their own genre out of about four or five existing ones. To most people, especially an average individual whose musical interests might be somewhat limited, comprehending and conceptualizing thirteen tracks of Ruach’s music is going to be somewhat of a challenge. The music is so multifaceted and dense that those lacking significant patience and understanding probably won’t last through about the third or fourth song. Basically, this type of music, although incredibly skilled, sophisticated, and designed to bring people together, is unfortunately only going to be thoroughly appreciated and listened to be those of a particular personality, perspective, and worldview who generally have the patience to see past instant-gratification in their sensibilities and see music more as a true art form as opposed to a mere source of entertainment. 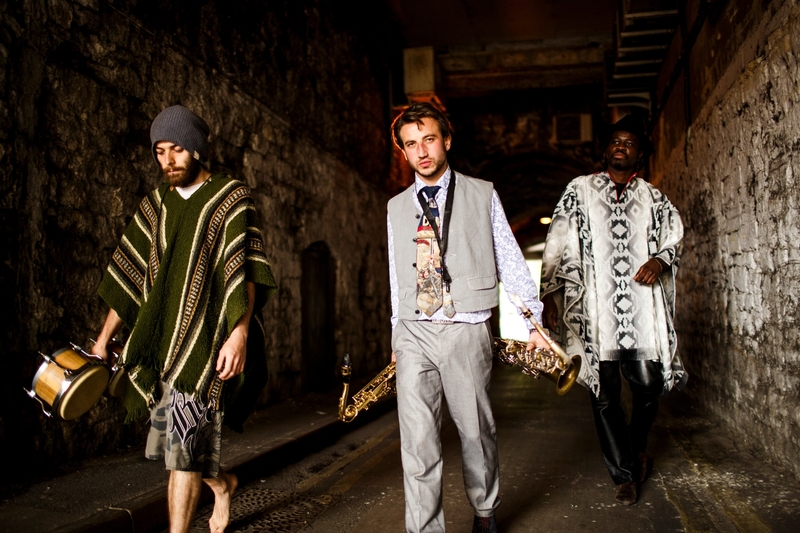 For this reason, like acid-jazz fanatics, dead-heads, and other specific music fans, Vonj and their album Ruach is somewhat of a niche work, despite how quality it is and how much it should be commended. Ultimately however, the mainstream success of these tracks or lack thereof is probably of little importance to the sort of musicians that would create an album such as this. Vonj Uzele’s aspirations are far different than those of a marketable artist. The goal here was to create a musical journey to bring people together and hopefully work toward a sense of communal enlightenment and togetherness. For all those that are proactive enough to listen to the message, this album is, without a doubt, a shining success. “Out of the Mire”, The instrumental intro piece for the RuAch album was one of the first concrete idea’s we had for the album, When we used to jam this I used to call it the South American song, Martin our drummer naturally came up with a latin style feel on the grooves, & his energy on the drums was exerted with such a high energy to the extent I would always feel a sympathy to his drum kit in how hard he used to hit it whenever we Jam it. Out of the Mire Can symbolise where we were coming from through life at the time, & I only found it appropriate to begin the record with that title, It’s one of those numbers that will create a heavy party vibe, especially when we play it live in concert. Now we will find a huge gap between when we had the blue print for that piece & when we actually got to record the track for the album. If you read the previous blog; “River nun” was our first recording for the record, Out of the mire would have been the 2nd however literally the following week after we recorded River nun, I had a call from the venue we were rehearsing in & the management said we should look to find another practice venue, So unfortunately we were in limbo for a few months, We had to find the right spot, The album sleeve tells that story, Eventually a lock in was found, But by the time we got the lock in so many musical idea’s had already piled up for recoding, But we knew we would eventually come to revisit & record “Out of the mire”, & this became one of the last songs we recorded before publishing the album. Since the recording new musicians have been coming in for the group & have implemented cool new idea’s to it, This one will definitely be one of my favourite tracks to perform live. River Nun, was the first song written for the Album RuAch, This was also the first song we recorded for it, This song was birthed through a jam we had which I originally titled “Liberty”, at this time I was in the process of looking for a Sax player, a sax player Carmine Manfredi came into the Picture, & the second time we played together I hit the record button on the console and Me on electric guitar, Martin on drums, & Carmine on Sax, played and recorded the track live & the foundation of the album was set!, I later on added Bass & after hearing the music I got inspired with the lyrics, recorded the vocals & “River Nun” was born. 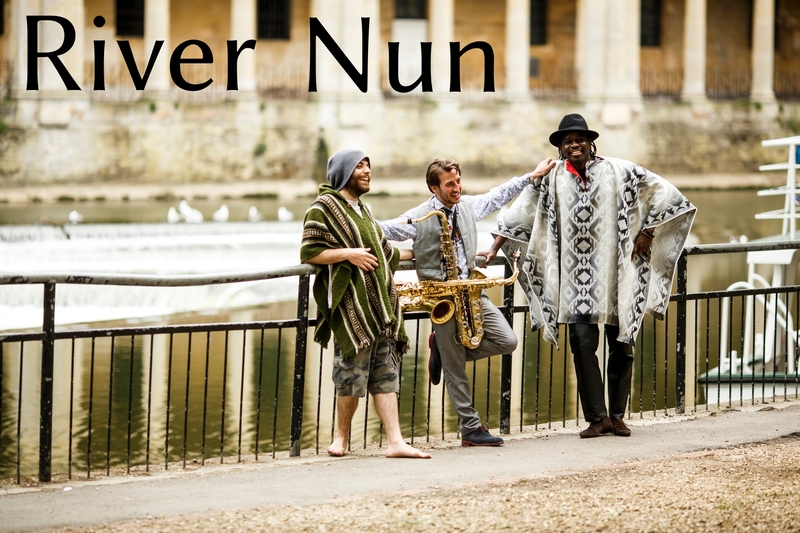 My dream one day is to go to the Nun River, & make a live music video for the number, Dreams come true!. Guns are made, Now your a slave. It is Morning as they leave through the River Nun. The track is 6 min 31 sec, Though in concert the version is likely to be longer ha-ha. & so the story continues, another chapter in the musical journey. As our experiences become broader we take it as a responsibility to share what we have learned along the way. I have come to understand that each day is a given time to adjust oneself through Spirit, and even when the road is rocky, we must see these experiences as lessons, and only with spirit can we rise above and continue towards fulfilling our vision. We live in a world where man has corruptly complicated things, religiously, and politically, ultimately setting us on the wrong direction from our calling, we need to gain back our spirit and let this be the primary source for which to govern our lives. I know that Music is one of greatest ways to lift people’s spirits, so may this be clear at the gate, that this is what we are here to do and this is what I have and will always play music for. Carmine Manfredi. Carrying on through the weeks I knew there was an element that was missing within the music, this was the sound of the saxophone, I started keeping my eyes open for players, now we fast forward… Me and Mat Diamond decided to hang out at an Italian restaurant “Ponte Veccio”, I remember when we got in the restaurant we heard some Bossa nova music playing on rotation, this sparked a musical conversation, Carmine who was working behind the bar caught our conversation, we introduced each other then he told us he plays the saxophone, I then invited him for a jam with me & martin, when we got into a jam that day I knew that this was the sound we needed, but even more so it was about where that sound was coming from, his spirit!, this is a guy who only had been playing for literally 6 months, but his enthusiasm for learning and playing the instrument was inspiring. On our second Jam session together “River Nun” was born, of which was recorded live that same night. The Cave. Right after the completion of River Nun, We were forced to have to find another venue to make and record music. This was indeed a drawback at the time, as we were only just beginning to gain a creative momentum, and I knew that it would not be easy to find an affordable venue where we could all get together and make music in peace, But I kept the faith that we would find something somewhere. One day me and Carmine were walking and talking, then he suddenly hit upon an idea, he said “I know just the place we need”, a few weeks came to pass & then we finally got the key’s to what we now call “The Cave” This became our creative Sanctuary from then on. Mat Diamond. Through all these events Mat was always there as a friend, He is a Producer from Hungary with a vast experience in the world of music, we have always shown each other support, & Just like Martin & Carmine, we all fit in together like family. Mat started off as a Jazz/funk drummer before moving to become a steady R&B producer, But after we acquired the Cave I called him out so that he can resurrect his gift of “laying grooves”, each recorded session was a therapeutic experience for us. I and Mat have shared many in depth conversations about the music industry & where we see things headed. We know everyone is influenced by music, but what happens when the spirit gets taken OUT of music? In real time we see the divide in music, but we can clearly see that the division of music has caused a division in the people. The mission for the album was to fuse musical styles & elemental’s together & bring people out of that genre system & into a broader scope of thought. Garry Millhouse: is an experienced Spanish guitarist, whom happened to drop around the Cave just days before I sent the music off to be published, everything has a reason and a purpose, We happened to be on the same musical wave length, & he was enthused to lay some Spanish guitar down for the project, We recorded our improvisations live, this was indeed a magical experience. We all come from extremely different backgrounds, but there is one thing we all have in common…Spirit! 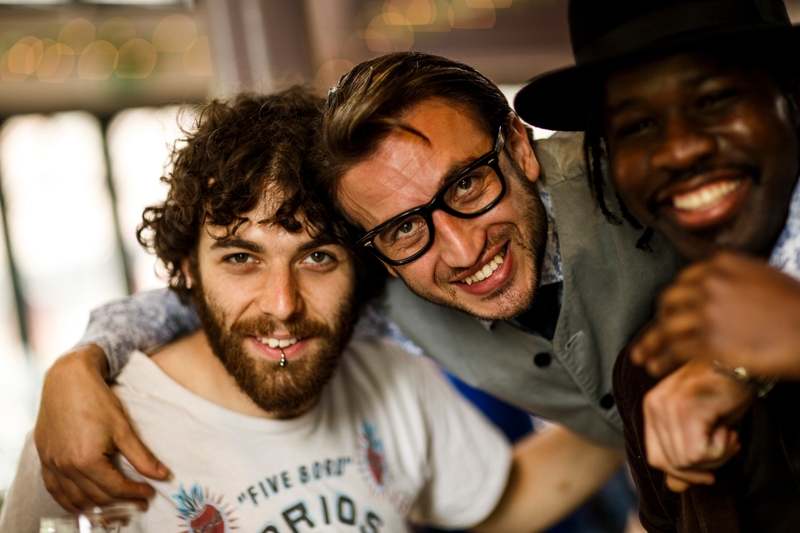 So if someone ever asks you…if a Born African man, a born Italian, a born Hungarian, & born English men, can come together like family & make music. Show them the success story of Ruach! We all thank you for your support, & we hope you enjoy the album. 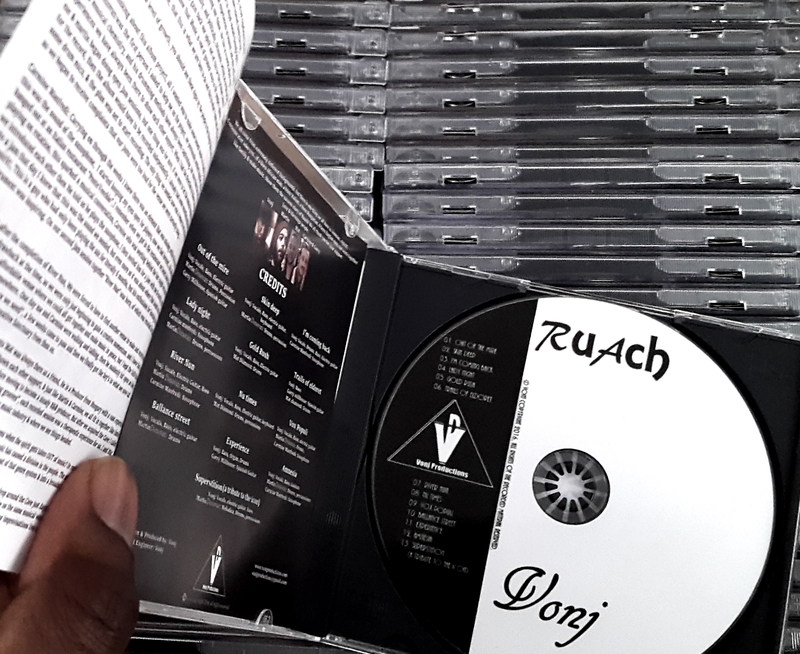 I would like to thank Marc from Proggnosis for reviewing the latest album RuAch. which you can read bellow at your leisure. More reviews will be posted soon. Ruach album Reviewed by Marc From Proggnosis, in Canada. I really did not know what to expect before listening to Ruach by Vonj, a Kenya born artist now living in the UK. Looking at his website made me prepare myself for ambient or even meditation music. Well only after a few seconds listening to Ruach I knew my supposition was way off. What we get on this very good album is a mixture of R&B, Jazz, Pop, Soul, Blues, Hard Rock and even a hint of Prog. Vonj is the main man of this musical project. He plays Bass, Guitar and is also the lead vocalist. He is a great lead singer. To me his voice is pretty close to George Benson’s, but Vonj often sings with more muscle than Benson. His guitar playing, always excellent, ranges from very smooth and silky to almost Hendrix like at times, and he shows equal dexterity on the bass. Vonj is supported by excellent musicians on percussions and drums with Carmine Manfredi contributing some cool saxophone on the jazzier tracks. As much as I can tell all the songs (but one) are original compositions, covering a variety of genres while still remaining coherent enough to give Ruach an album feel, not just being a collection of tracks. The last song, a cover of Stevie Wonder’s ”Superstition” is done in a bluesy way that made me completely rediscover it. A great finish to an excellent album. Ruach is perhaps not the proggiest album I will review this year, but it is certainly one I will continue to listen to on many occasions. Highly recommended indeed.